As I get older, so do the books I find most congenial. I admit I’ve always been something of an old pedant and have always spent more time with what other people have called “serious” books rather than best-sellers or recent worthies. But age has only exaggerated this tendency. Perhaps it is because as I’ve gotten older, the distance between the old tomes and the present seems shorter and shorter, almost to the point of disappearing. For many readers, such books as the Iliad or Ovid’s Metamorphoses seem incredibly distant, in a past that is so vastly divorced from the concerns of today that they question the relevance. But for me, the space between then and now has become compressed and it is in those old authors that I find an urgency and relevance unmatched. I am now 66 years old — two thirds of a century. It is a time that has passed as swiftly as an eyeblink. I was a boy last Tuesday. 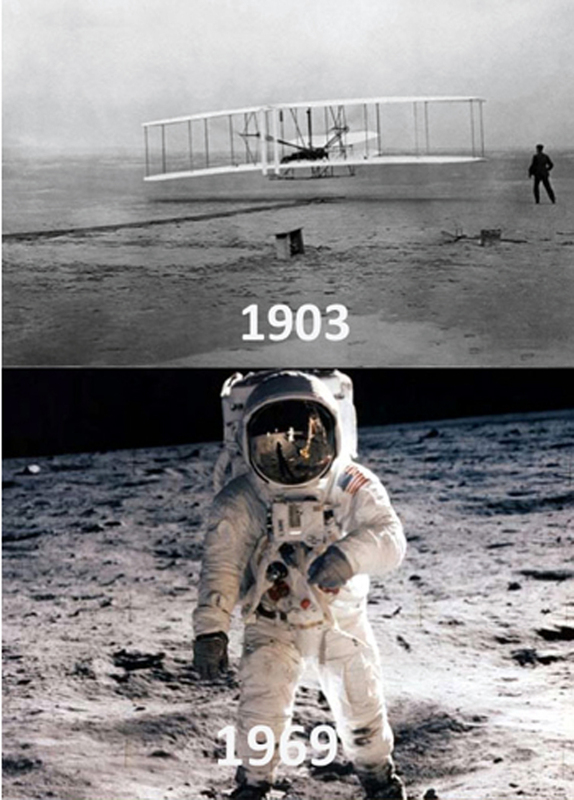 My grandmother used to say, with some amazement and some pride that she was born before the Wright Brothers’ flight and lived to see the moon landing. This is a personal, internal sense of history. It is increasingly the way I see the past. If I measure the time between now and my birth, and take it as a yardstick, I can get a sense of the it. 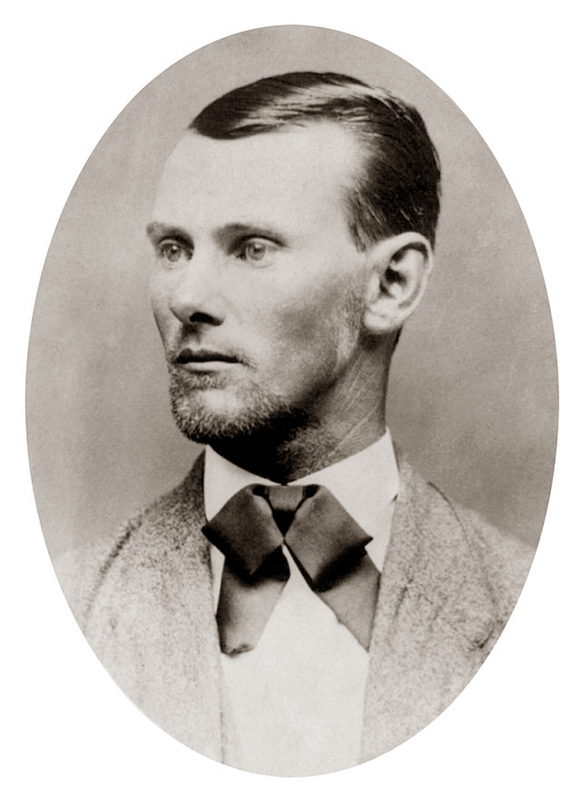 Sixty-six years from my birth is now; 66 years before my birth was the year Jesse James was shot dead — 1882. If I flip my yardstick over one length down the timeline from that, I arrive at 1816, the year Mary Shelley conceived of Frankenstein. One more flip of the yardstick and I’m at 1750, the year Johann Sebastian Bach died. That is, I’m only three lifetimes — three very short, skipping lifetimes from Bach and those last unfinished measures of The Art of the Fugue. I could keep flipping the yardstick to measure the years before: 1684, 1618, 1552, 1486, 1420, 1354, etc. And I discover it takes only 30 copies of my life before I’m face to face with Caesar Augustus. Only 42 lifetimes and I’m sitting there with Homer. Forty-two of my own short lifetimes — not enough to fill a bus. So, you see, the past increasingly does not feel long ago, does not feel alien, does not feel irrelevant. It feels contiguous. I can measure it all out in lifespans I can imagine and visualize it in a way impossible with the more Saganesque “billions and billions” of the cosmos. Heck, I can take that yardstick back far enough to see them painting the caves at Lascaux and I haven’t even filled up a jumbo-jet. World War II ended three years before I was born; it is fresh in my culture’s memory and a constant in television documentaries. Troy fell three millennia ago and it hardly seems any different to me. It is all connected and I feel the fibers of my blood and sinew in the pulse of history. So, the paroxysms of current events, which feel so dire to those younger than me, feel like familiar blips when taken in the long view. I do not know if we will survive them, but chances are we will. 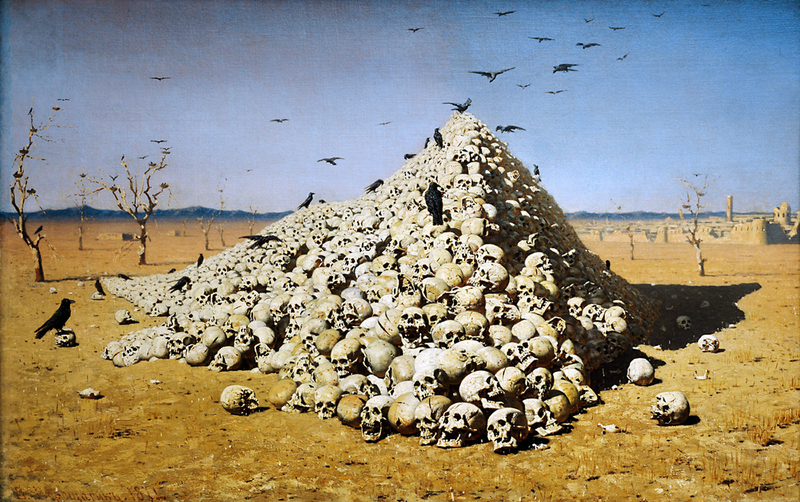 And even the genocides of Rwanda and Darfur or the beheadings by Islamists seem merely familiar excrescenses of an eternal human tendency, and in fact pale compared not merely with the Shoah, but with the extermination of Native Americans, the pyramids of skulls left by Tamerlane or Genghis Khan, or the smiting of the Canaanites and Jebusites ordered by Jehovah (Deuteronomy 20: 16-17). According to scientist and author Jared Diamond, it is possible that Neanderthals disappeared under just such a fatwah. 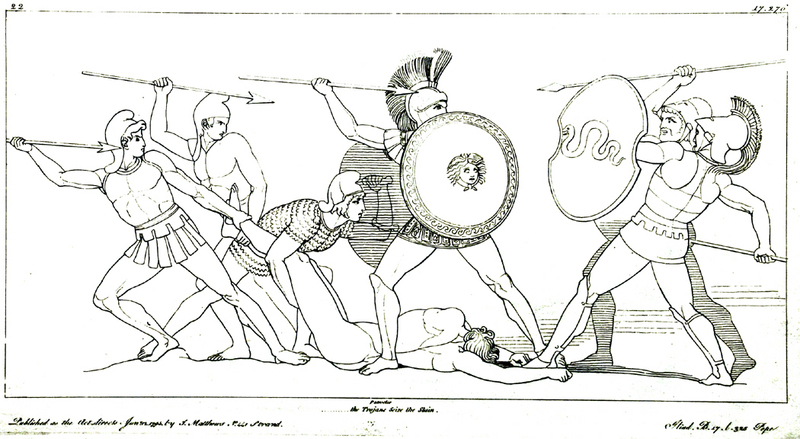 So, when I open Homer’s Iliad and find in its opening lines grief and the corpses of “so many fighters leaving their naked flesh to be devoured by dogs and vultures,” it is no more removed than Afghanistan or Gaza. I am constantly amazed that the first book in the Western canon should never have been bested. The Iliad has a breadth of vision unmatched by anything else I am familiar with. It is always the first on my list. Homer describes everything from the food to the landscape as if he were a gobbling camera, eating up the full existence of life. And not, like some novelist, in different chapters, but in a single sentence he can telescope from the entire battlefield down to the iris of a bee’s eye, and then back out again in the space of five or 10 words. It leaves one not just with the grand view and not with the microcosm, but with a clear sense that they co-exist in a single space, a single comprehension. 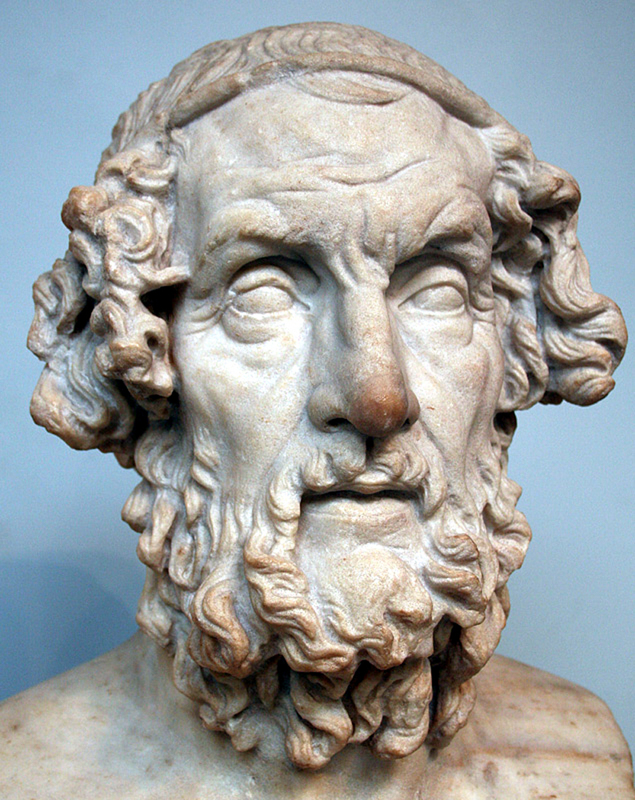 There is little so vivid as Homer’s description of battle. Yes, our modern understanding of war — at least those of us who have not been in it — has more to do with battalions and artillery, but even in modern warfare, the experience of it from the inside is personal: one human soldier and the chaos that threatens to erase him (or her) and the light that comes in through his eyes. Tarantino is playing catch up. It isn’t merely the violence that is shown us, but the desires, the pity, the sorrows and the triumphs. 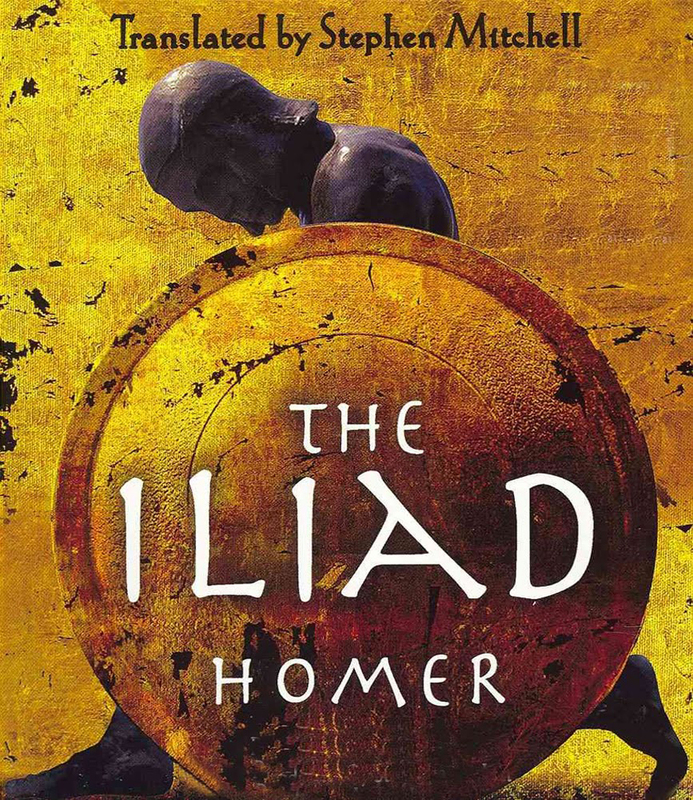 I try and re-read the Iliad once a year, and each time in a different translation. Last year, it was Alexander Pope’s. This year, it is the recent one by Stephen Mitchell. I’ve read in past years, translations by Robert Fagles, Richmond Lattimore, Walter Benjamin Smith with Walter Miller (illustrated by the great Neoclassical designs of John Flaxman), and George Chapman. If I ever have to shrink my library down to something I can carry in a duffel, it would include the Iliad, the Odyssey, the Bible and a Shakespeare. Ah, but I would have to make room for a Milton, too.